"I play fictitious characters often solving fictitious problems. 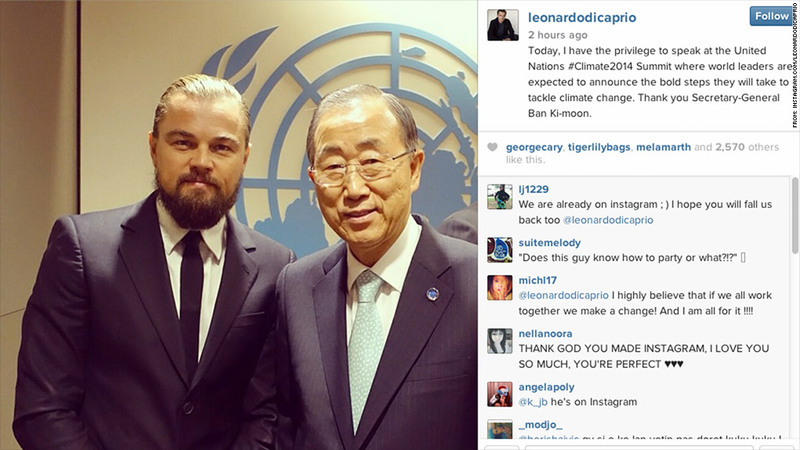 I believe that mankind has looked at climate change in that same way," DiCaprio told the UN Climate Summit. "As if pretending that climate change wasn't real would somehow make it go away, but I think we all know better than that now." DiCaprio's remarks come days after the actor stood with thousands in New York City's People's Climate March on Sunday. The march brought in an estimated 400,000 people seeking to put an end to global warming. "Every week we're seeing new and undeniable climate events, evidence that accelerated climate change is here right now," DiCaprio added in his speech. "None of this is rhetoric, and none of it is hysteria. It is fact." 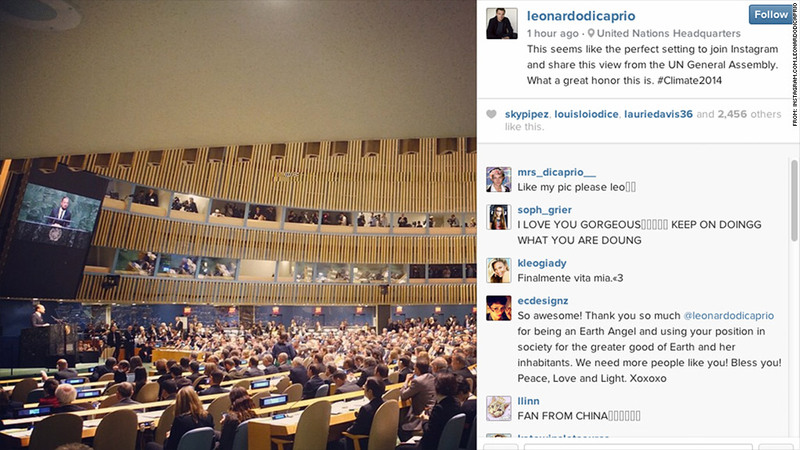 DiCaprio documented the summit by joining Instagram Tuesday morning and snapping photos of the general assembly and with UN Secretary-General Ban Ki-moon. The "Wolf of Wall Street" actor spoke at the summit after being designated as a UN Messenger of Peace with a special focus on climate change by the Secretary-General. 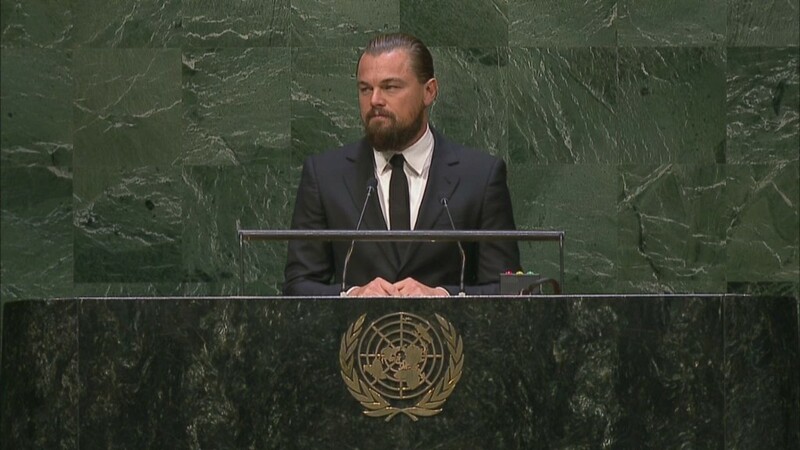 DiCaprio finished his speech by calling on the assembly to act on climate change, and to do so now. "Honored delegates, leaders of the world, I pretend for a living but you do not," DiCaprio said. "The people made their voices heard on Sunday around the world and the momentum will not stop, but now it's your turn. The time to answer humankind's greatest challenge is now." Similarly, actress Emma Watson addressed the UN on Saturday in order to bring attention to the issue of gender equality.